Prairie Ridge senior Austen Ferbet (cq) makes a layup as McHenry sophomore Brian March attempts to block the shot during a conference game at McHenry High School on Friday, February 3, 2017. 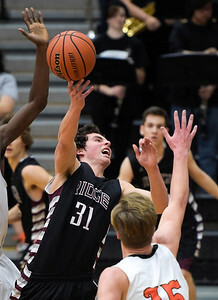 Prairie Ridge junior Connor Kazin drives to the baskets, but is blocked by McHenry Warriors James Mulhall, left, and Maki Mohr. The Warriors won 53 to 51. 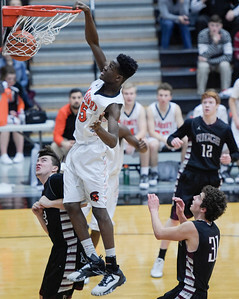 McHenry senior Matthew Mohr dunks the basketball during a game against Prairie Ridge on Friday, February 3, 2017. 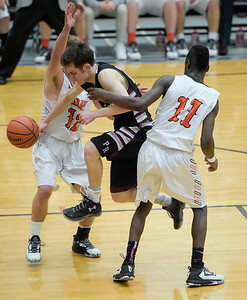 McHenry won 53-51. McHenry senior Matthew Mohr catches a pass from a teammate during a game against Prairie Ridge on Friday, February 3, 2017. 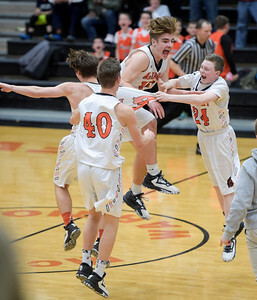 McHenry won 53-51. 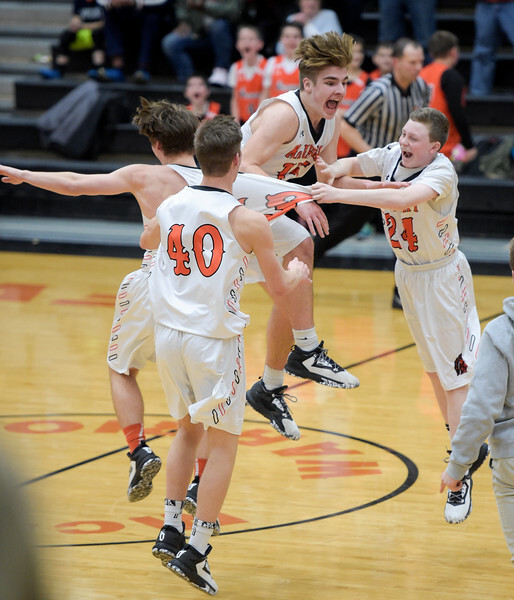 McHenry junior Patrick Breisch, center, celebrates the team's win over Prairie Ridge on their home court on Friday, February 3, 2017. McHenry won 53-51. 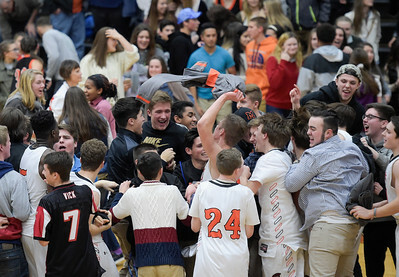 McHenry students storm the court to celebrate a close win over the Prairie Ridge boys basketball team at McHenry West High School on Friday, February 3, 2017. 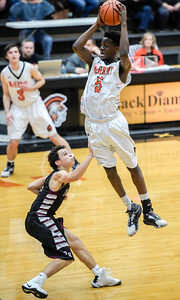 McHenry won 53-51. 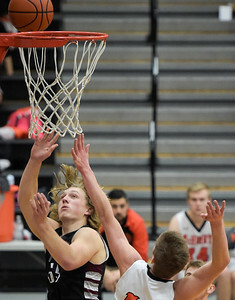 Prairie Ridge senior Brian Dorn goes up for a shot as McHenry junior Patrick Breisch attempts to block it during a conference game on Friday, February 3, 2017.